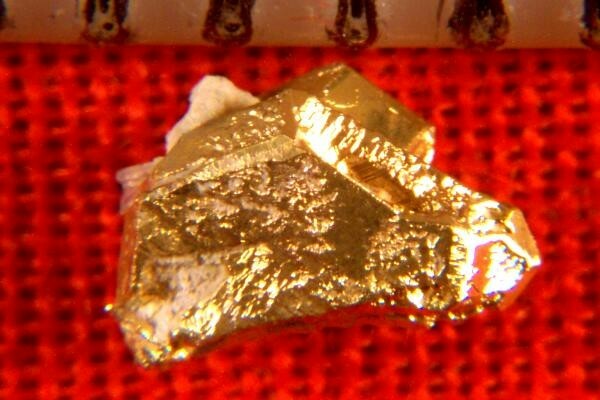 This small gold specimen from the Round Mountain Mine in Nevada is amazing. 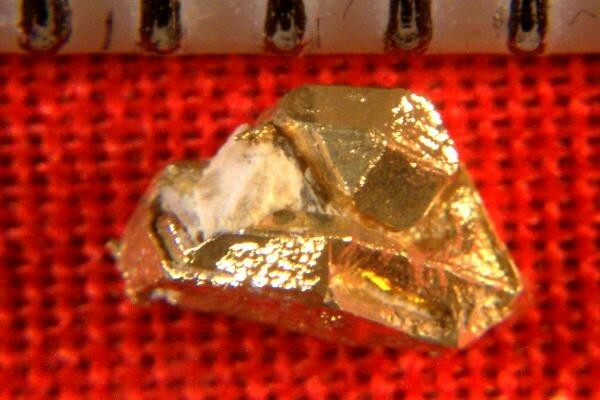 Rarely do you see such well defined cubic crystals in a natural gold specimen. This one is extraordinary. The crystal details are best seen under magnification, where they are extraordinary. This rare beauty is 3/16" (5 mm) long and it weighs 3.9 Grains (0.26 Gram). Small but amazing, this gold specimen comes in a plastic gem jar for protection and display.